You’ve put puffing in your past. Brush your shoulders off, because quitting the cancer sticks is no easy feat -- the torturous withdrawals guarantee that. But now that the congratulations are over, you want to reap the rewards. You want to know how long you have to wait until your lungs are clean as a Norwegian roadside stop (i.e., very, very clean). The bad news? Your lungs are never going to be as healthy as someone who’s never smoked, confirms Gaetane C. Michaud, MD, a pulmonologist and member of the faculty at NYU Langone Medical Center. But don’t let that discourage you; quitting is still crucial to your health. For starters, you’re no longer exposing yourself to the thousands of chemicals (70ish of which are known to cause cancer) in tobacco smoke. Bonus points for slashing your risk for lung cancer, heart disease, and more. If you’re curious about just how much damage you may have done, and whether your lungs are doomed forever, we gathered all the info we could. Because (mom voice), your lungs care, even if you don’t. Does it matter how long I've smoked? You bet it does, but there are a couple of variables to consider. 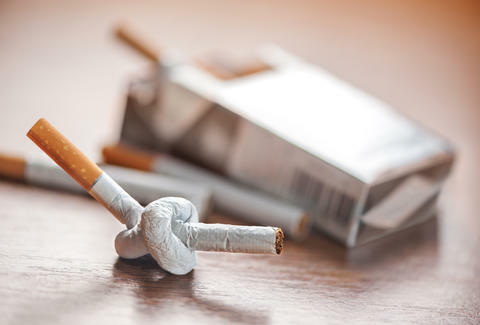 First of all, know that the longer you smoke, the higher your risk of cancer, says Jason Turowski, MD, a pulmonologist at the Cleveland Clinic. Another important factor? How old you are when when you first start getting your nicotine fix. As Turowski explains, your lungs are still forming up until your mid-20s; if you start reaching for cigarettes on the reg before, say, age 25, you’re stunting your lungs’ growth so that they’re never able to reach peak performance. Your age when you quit smoking also matters. “The younger you quit, the better off you are,” says Apar Kishor Ganti, MD, MS, FACP, an associate professor at the University of Nebraska Medical Center. In fact, research suggests cutting yourself off before you hit 35 could lead to a mortality rate similar to people who’ve never touched cigs. Another study finds that quitting before you turn 40 slashes your risk of death related to continued smoking by a whopping 90%. Sooo… if you absolutely must, only smoke until you’re 35! Or 40, max! But either way, you’re better of quitting it, not hitting it. Don’t fret if you’re a middle-aged smoker, because the health benefits of quitting aren’t exclusive to the younger age bracket. Even older adults lower their risk for hospitalization after they’ve ditched the habit, according to a recent study. The key here is that no matter how old you are when you quit, doing so is “the best decision you can make,” according to Turowski. How does the number of cigarettes smoked affect my recovery? Ultimately, the more cigarettes you smoke, the more damage you create, whether you’re talking cigarettes per day or cumulative years of smoking, says Michaud. Ganti agrees: He says as you continue to smoke, you’re thwarting your body’s ability to heal. Also, consider this: Smoking a single cigarette pumps your lungs full of chemicals (including tar, formaldehyde, and carbon monoxide — NBD) that make it hard for them to clear mucus and other debris, explains Turowski. Just five to seven days’ worth of smoking reduces your lungs’ ability to clear this gunk dramatically, and a few months of consistent use give it the opportunity to make itself at home deep in your lungs, he adds. This eventually culminates in diseases like lung cancer, chronic bronchitis, or COPD (chronic obstructive pulmonary disease, A.K.A. 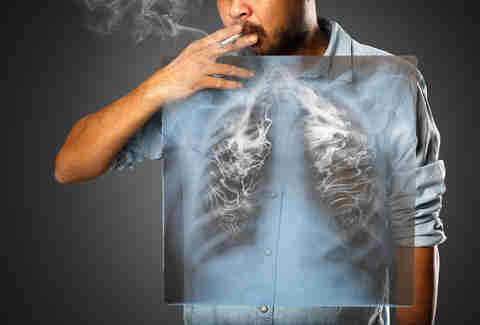 long-term lung disease). The further you fall down that smoked-out rabbit hole, the worse it is for your lungs. Will exercising speed up the process? Cue the sad trombone. Those hours you spend lifting, running, and generally being a badass workout warrior aren’t going to magically repair your wrecked lungs. But it’s not all bad news. “The physical act of exercise won’t reduce the damage that was already done, but it helps with overall cardiopulmonary fitness,” says Turowski. Plus, as long as you haven’t progressed to full-blown emphysema, working out will help clear the mucus that’s accumulated in your lungs, he adds. Am I still at a heightened risk of getting lung cancer? In a word? Yes. It’s just not possible to completely reverse the damage you’ve done, says Michaud. Though both smokers and nonsmokers alike lose lung function with age, she explains, smokers do so much faster. OK, so how soon are things going to get better? 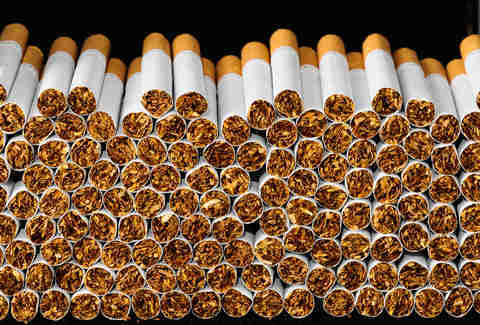 There’s light at the end of the tunnel if you happen to be a smoker. 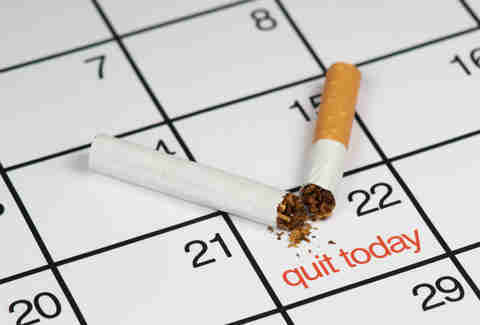 Your lung function starts to improve just three months after you’ve quit, according to SmokeFree.gov. A decade post-quitting, and you’re only half as likely to get lung cancer compared to someone who never quit. There will always be the Kurt Vonneguts of the world who seemingly can’t be killed by cigarettes (or anything, except for that fall that actually killed him), but they’re the exception. Bottom line: the sooner you quit, the better. Alexandra Duron is a freelance writer for Thrillist. Follow her on Twitter and Instagram at @alexduron.